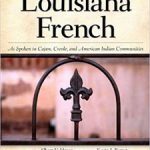 This is the full story of Louisiana’s French-speaking Cajun people. 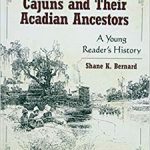 Cajuns and Their Ancestors: A Young Reader’s History traces the four-hundred-year history of the distinct American ethnic group. While written in a format comprehensible to junior-high students, it will prove appealing and informative as well to adult readers seeking a one-volume exploration of these remarkable people and their predecessors. 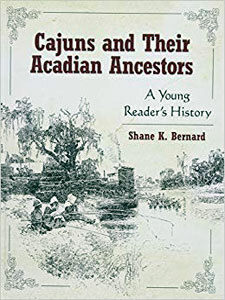 The narrative follows the Cajuns’ early ancestors, the Acadians, from seventeenth-century France to Nova Scotia, where they flourished until British soldiers expelled them in a tragic event called Le Grand Derangement (The Great Upheaval) — an episode regarded by many historians as an instance of ethnic cleansing or genocide. 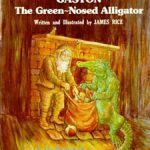 It includes 28 black & white illustrations & chronology sidebars.